Are you a student at Royal Holloway? 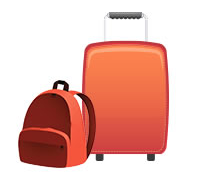 My Baggage can help you transport your luggage to and from university every single term! 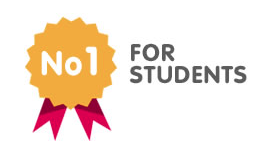 My Baggage is the No.1 student shipping company for Royal Holloway students. We provide fast, reliable and affordable student shipping services across the UK and throughout 200+ countries worldwide! With My Baggage, you’ll receive a convenient and reliable door to door luggage delivery service, complete with full online luggage tracking. Royal Holloway University offers students a unique learning experience, with one of the world’s most beautiful campuses with everything you need right on your doorstep. The parkland campus is just 40 minutes by train from London, meaning there is an array of things to do and see in easy reach. My Baggage is the most convenient and budget-friendly way to transport your luggage to and from your accommodation at Royal Holloway University. 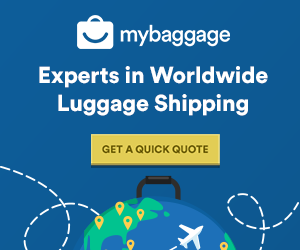 Booking your luggage shipment with My Baggage couldn’t be easier. Simply start by getting a quote on our homepage. To book, you’ll need to enter your luggage weight and size as well as your address details. Complete your booking by making your payment through our secure online payment system. It’s as easy as that! Once you’ve booked, we’ll take care of the rest. We’ll collect your item and deliver it straight to where it needs to go – and you won’t have to worry about a thing. Once you’ve booked your shipment, you will be given access to full online luggage tracking, as well as SMS and email notifications. You will be able to monitor the progress of your shipment as it makes its way to its destination. And if you happen to have any questions or concerns along the way, we have a dedicated customer support team who can help via phone, email and live chat. Don’t hesitate to contact us if you have any questions! Easy to navigate online booking system. Full online tracking, as well as SMS and email notifications. Our drivers can collect your luggage straight from the front door of all houses, student houses, flats or apartments and deliver it straight to your address at Royal Holloway University. If you are living in Royal Holloway halls of residence, we will collect from and deliver to the halls reception area or designated postal room. Please check the whereabouts of this location with your student accommodation before you place your My Baggage booking. My Baggage provides £100 free compensation cover on every single shipment. If you wish, you can even increase this value right up to £1,000 for an additional fee during booking. Before selecting your compensation cover, we strongly recommend reading through our list of prohibited and no-compensation items to ensure your shipment will be covered. If you are an international student studying at Royal Holloway University, or perhaps on a year abroad, My Baggage provides an affordable luggage shipping solution. We offer fantastic low costs and super fast delivery to over 200+ countries worldwide. The My Baggage team is made up of recent graduates, so we understand that as a university student, you have no choice but to stick to a tight budget. Thankfully, that’s why we offer incredibly cheap prices with students in mind. You can send a box or suitcase weighing up to 30kg to and from Royal Holloway University for as little as £16.99! We also have a fantastic ‘Price Match‘ tool on our website – so if you happen to come across a cheaper alternative elsewhere, let us know and we’ll try our best to beat it. See how much you could save on your student shipment by getting a quote!